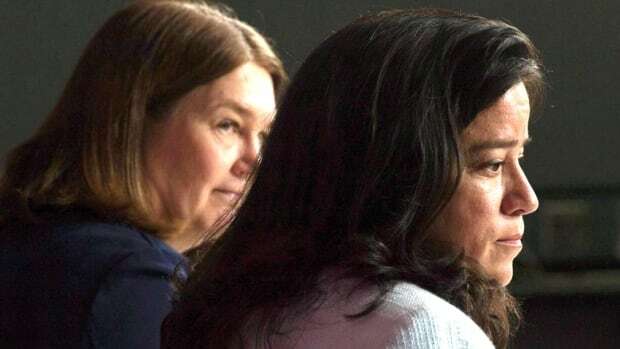 Some Liberal MPs are pushing for an emergency meeting to decide whether Jody Wilson-Raybould and Jane Philpott should be kicked out of caucus following the release of a secretly recorded call related to the SNC-Lavalin scandal. The Liberal caucus executive held a conference call Sunday night. No decision or formal announcement has been made about a caucus-wide meeting, which could happen as early as tonight. There’s a growing sense in the Liberal caucus that the two former cabinet ministers are damaging the Liberal brand, and that the continued slow leak of information about the SNC-Lavalin affair is going to make it harder for MPs in tight races to be re-elected. That anxiety escalated Friday when the Commons justice committee released a new submission from Wilson-Raybould: a lengthy written statement, copies of emails and text messages and a 17-minute audiotape of a conversation she held with then-Privy Council clerk Michael Wernick. Wilson-Raybould secretly recorded the Dec. 19 telephone call, explaining that she expected an “inappropriate” conversation and that she did not have a staff member present to take notes. “It is not an honourable thing to do,” he said. St. John’s MP Nick Whalen, chair of the Liberal Atlantic caucus, said he would not comment on caucus discussions because they’re confidential. He did say that he was “shocked” to learn that a minister surreptitiously recorded a conversation with the Privy Council clerk and then kept it secret, instead of sharing it with the prime minister as evidence that she felt undue pressure from people at the highest levels of government to allow SNC-Lavalin to avoid a criminal trial on bribery charges. “It all seems really untoward and really seedy,” Whalen told CBC News. While many Liberal MPs worry about the SNC-Lavalin affair affecting their electoral prospects, Whalen said his constituents have mixed views about the recent developments. He said he believes Canadians are now “captivated” by the drama involving the relationship between Prime Minister Justin Trudeau and two former ministers who were once his friends and allies — while he sees the pertinent issue as one of political oversight of judicial institutions. Toronto Liberal MP Rob Oliphant said he would like to see the matter resolved before Wednesday’s regularly scheduled caucus meeting, so that members can focus their time and energy on substantive legislative and policy issues. Oliphant said that unless both women express full confidence in the prime minister and the government, they must leave. “My hope is that caucus will move quickly and I suspect will be of one mind that we don’t want people in the caucus who don’t have confidence in our government,” he told CBC News Network. If the Liberal caucus does meet later today, it likely would be without Prime Minister Trudeau, who is holding events with visiting Israeli President Reuven Rivlin. The Conservatives have labelled Trudeau a “fake feminist” over his handling of a matter involving two women who held senior positions in his cabinet. But one MP — who asked not be identified because of caucus confidentiality — insists gender is not an issue here. “This isn’t about two women. This is about two members of the team and how they are choosing to conduct themselves publicly,” the MP said. He added there is a feeling of “growing resentment” within caucus among MPs who believe Wilson-Raybould and Philpott are making it difficult to move forward with the government’s agenda. Charlottetown MP Wayne Easter said Wilson-Raybould should be gone from the caucus, adding he’s angry about the secret recording and arguing she seemed to be “working from a script” in her conversation with Wernick. He said the prime minister, Wernick and other officials were simply asking her to consider the impact of her decision and seek a second opinion about the option of a remediation agreement for SNC-Lavalin. “But then to play these kind of games, and almost entrapment to the clerk of the Privy Council, I’ve got no respect for someone like that,” he said. Indigenous-Crown Relations Minister Carolyn Bennett said she couldn’t predict how the situation will unfold. Liberal MP Wayne Long called the recording “surprising,” but said it did show there was pressure on Wilson-Raybould and an attempt within government to push for a remediation agreement. He said there must be full transparency in order to stop the “daily news flashes” on the SNC-Lavalin story, so that Liberals can unite and focus on winning the next election. He suggested keeping Wilson-Raybould and Philpott on the team might be the best way forward. The Liberal government has been in crisis mode since the Globe and Mail reported on Feb. 7 that Wilson-Raybould endured intense pressure to intervene in the criminal prosecution of SNC-Lavalin, a Montreal-based engineering and construction company that employs 9,000 people across the country. Wilson-Raybould testified at the justice committee that she faced sustained pressure and veiled threats from various officials in the PMO and elsewhere in government. Others have told the committee that those officials were merely relaying to Wilson-Raybould the message that a large number of jobs could be at risk if the company did not get a remediation agreement to avoid criminal prosecution. A conviction would mean the company might face a 10-year ban on bidding for federal contracts. The Conservatives have accused the Liberals of of trying to whitewash the scandal by shutting down the Commons justice inquiry prematurely and preventing a study by the Commons ethics committee. The Conservatives triggered a 31-hour voting marathon in the House of Commons in protest, and have promised to use “every tool in the parliamentary toolkit” to hold the government to account. Today, Conservative MP Pierre Poilievre said he would delay crucial debate on the Liberal budget by staging a filibuster, a prolonged speech in the Commons that can last many hours. “We are not accepting his coverup,” he said.